The Easy Chicken is The Best! We Love our hens, great eggs, great compost, love that I can move the coop around to different spots. Best of all, the hens are an absolute riot-so entertaining-especially in the dust bath! Thank You so much! We really enjoyed the chickens! My daughter has been great at collecting the eggs. She thinks she's a farmer. We've been getting a great amount of eggs. The yolks are so orange! We've been making all of our favorite egg recipes, and they have been delicious. The Easy Chicken is awesome! They are so helpful to answer any questions and the whole process really is easy. We love our chickens, plus all the fresh eggs are a great reward. 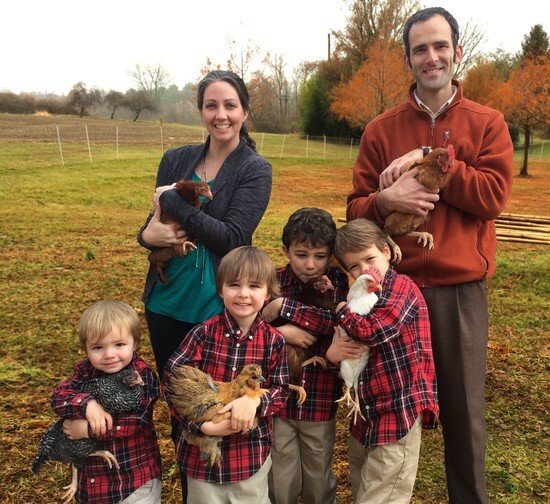 We really love having the chickens and all that this experience has brought to our family. There are so many more benefits than only having fresh eggs! Thank you for getting us started with backyard chickens. We really love them. It's been good for my son with a disability and for my granddaughter to help take care of them. The chickens did such a great job turning over the soil and amending it as they went! My daughter is in love with the chickens and we have enjoyed having fresh eggs daily! Thank you so much for providing the service. This has brought so much joy to our lives. When our relatives come over it's something that they look forward to. Sometimes I come home early in the afternoon and sit on the back porch and check emails and call customers while I'm watching the chickens. All went off without a hitch. The chicks sleep a lot just like you said. Thanks for the quality setup! I have a friend who raised chickens and when she saw my set up from The Easy Chicken she was so impressed. She noticed how easy it was - the engineering behind the set up made it so that I didn't have to worry about the annoying things that usually come with a baby chick set up. My surly preteen daughter comes out of her room and my younger two daughters get along better. The one daughter even said, "My older sister is so much nicer to me now!" Allowed file types: gif jpg jpeg png tif pdf doc avi mov mp3 wav zip.